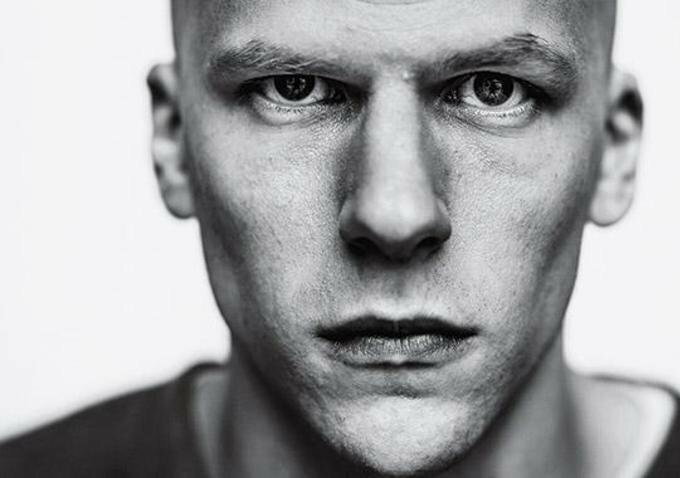 In a piece with MTV, Jesse Eisenberg addresses his take on his portrayal of Lex Luthor in the upcoming movie, Batman V. Superman: Dawn of Justice. And to be honest, I was hoping to see that stern, focused intensity we see from Eisenberg in his past roles, versus the idiocy that has been delivered in the past to portray Lex Luthor. He said that in the movie, Lex is not a "silly, villainous character," but rather but a character with an emotional core. A character of a person who thinks the things he does and just doesn't do things. Previous renditions of Lex Luthor has seen him surrounded by goons or daftness, making Luthor a weak individual, despite his intelligence. Because in the end, your team (or gang) is only as strong as its weakest link. In the Christopher Reeve (rip) Superman, Lex Luthor lived in a sewer with daft-minded minions who ate too much and loved their mommy. Kevin Spacey's rendition was more on spot in Superman Returns than any other I've seen. But he still had his weak link and weird aspirations. To me, when a filmmaker creates a humorous, gallivanting version of a character, its because they don't know what they're doing with the plot and they squirrel the evil away into an explainable kind of insanity. They don't take the material serious enough and insult the comic fan. If you compare Tim Burton's Joker to Christopher Nolan's, that makes my point. And in all the early Batman or Superman movies, the bad guy had an insane angle to them, whether they called it insanity or not. The other thing about this sound byte is that it supports the rumor that started floating around last year about how DC/WB was scrapping the humorous edge from their comic book movies. Marvel does the humor just right, though with almost too much of it in Age of Ultron. In Man of Steel, when they did try humorous spots, well, they left a void of "What???" because the team did not have the timing sense of how to inject the humor. To be honest, I've enjoyed the intensity that Eisenberg brings to all his characters. If he can muster up something a bit different yet similar to his prose, Lex Luthor should be a pretty cool adversary to who ever faces off with him, whether it be just Superman or both he and Batman. Regardless, it is something to look forward to. Batman v Superman: Dawn of Justice stars Henry Cavill, Ben Affleck, Amy Adams, Gal Gadot, Laurence Fishburne, Diane Lane, Jesse Eisenberg, Jeremy Irons, Jena Malone, Holly Hunter and Scoot McNairy and is due out in theaters on March 25, 2016.